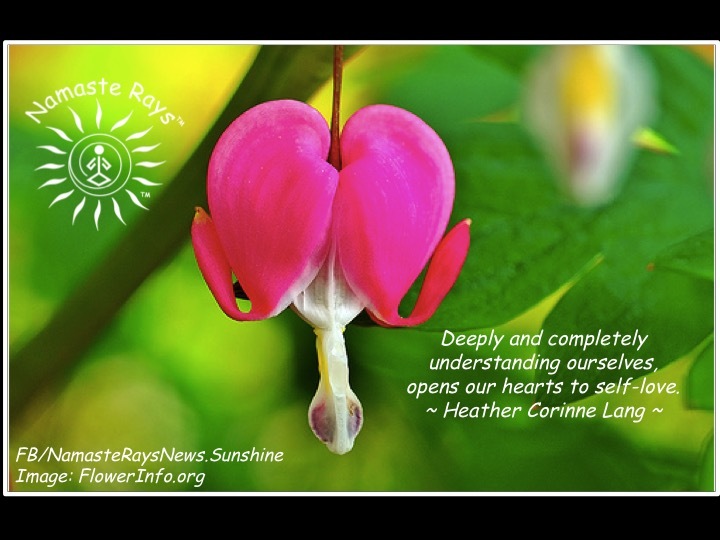 Deeply and completely understanding ourselves, opens our hearts to self-love. How do we do this? One way is to release old pains and resentments from any type of past relationships, while focusing on why you hold the pain. Realize at the time of the relationship, the other person may not have been in a space of being able to express real love, whether a parent, significant other, friend or child. Understand the other person was not connected deeply with their own self-love. This will help you discover your part in the relationship to help let go and heal from it. With each relationship you recognize may still be with you in a lower vibrational form, repeat this process. Holding onto past emotional baggage keeps you from experiencing pure self-love. Remember not to judge yourself for holding onto anything, as often times we are not quite aware of it until someone else points it out. It’s also important to note our hearts open up as we let go and your heart may be partially open already. Fully opening up our heart brings the pure, true love of self, thus allowing us to share this love with others, and in return receiving it. The vibrations or frequencies we send out, are the same we receive in new relationships. Changing ourselves brings in higher vibrations, thus attracting those back to us. Remember this works in all areas of our lives, as well, such as more peace, happiness, etc. Interestingly, I met with a friend yesterday who is also a Reiki Master. She was led to do an Angel Share Healing on me and during the healing she saw the image of these bleeding hearts. She didn’t even know what they originally looked like, which is beside the point. The point was I still had some resentments which surfaced that I needed to release. Some of our experiences with past relationships or even situations with current people in our lives stick with us in some fashion. The pain may have lessened over time, but the sensation, the feeling is still there. Acceptance is the beginning of letting go. Acceptance allows us to look at ourselves with compassion to deeply understand. So, ensure you show yourself some self-love by releasing pains and resentments from the past. May you open up your heart to more self-love.